A full moon for company on my predawn run! 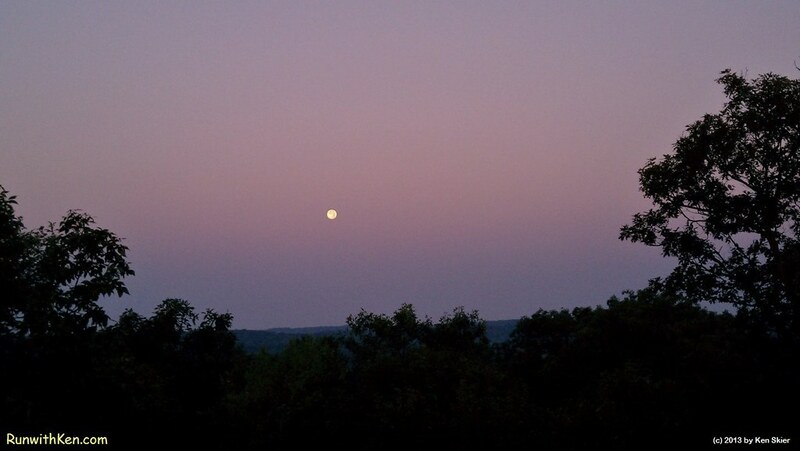 This morning I ran before dawn to the top of a nearby hill, and at the summit I saw a brilliant FULL MOON to the west. I had my phone with me and captured this picture. What the JPG does not capture, of course, is the special feeling of being so close to the sky--higher than all the land for miles around--and feeling the company of that big ball in the sky.